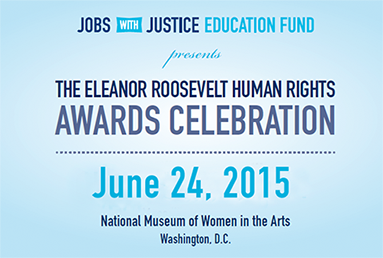 On June 24, Jobs With Justice will hold its 11th annual Eleanor Roosevelt Human Rights Awards Celebration at the National Museum of Women in the Arts. Each year, the event honors individuals and groups who embody Eleanor Roosevelt’s commitment to upholding workers’ rights as human rights. This year we are proud to honor María Elena Durazo, who has spent her career securing rights and better working conditions for immigrants and all workers. Jack Marco has championed the economic needs of working people, helping ensure their pensions, benefits and investments grow and are protected. And the worker-leaders of San Francisco’s Retail Workers Bill of Rights campaign won a historic victory that will transform the lives of thousands in the Bay Area. Our collective vision to build an economy that works for everyone has grown more possible thanks to the work, dedication and courage of this year’s honorees. We hope you join us in our celebration this year, and in the meantime, welcome you to learn more about our remarkable honorees. This year we invited three distinguished individuals to pay tribute to our award recipients. Continue on to read Harold Meyerson’s profile of María Elena Durazo, Hon. David Bonior’s profile of Jack Marco and Hon. 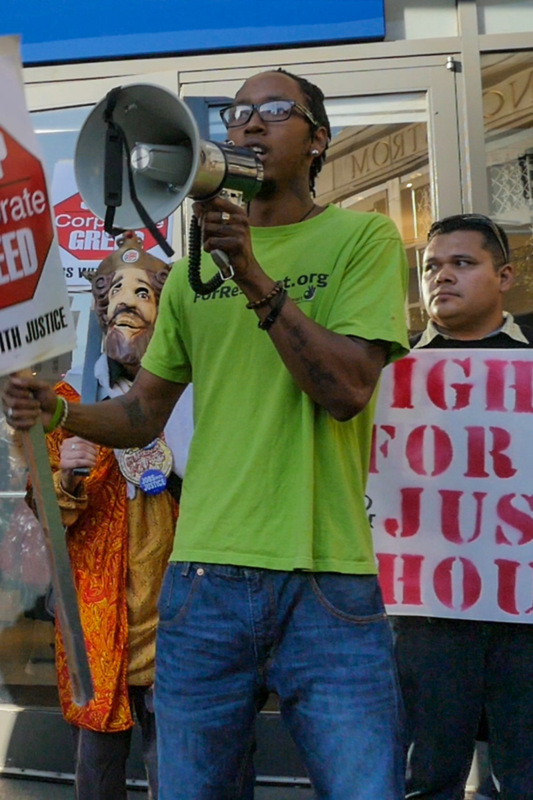 George Miller’s profile of the worker-leaders of San Francisco’s Retail Workers Bill of Rights campaign. María Elena Durazo, General Vice President of Immigration, Civil Rights and Diversity, UNITE HERE, for her incredible leadership in advancing immigrants’ rights and opportunities on the job and in our communities. 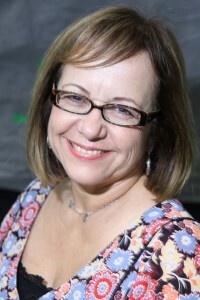 I became aware of María Elena Durazo as I was settling into my job as political editor of the L.A. Weekly. As an organizer for the city’s hotel workers’ union, she had become outraged at the local’s longtime leaders, guilty of backroom deals with employers that led to sub-standard contracts, and who conducted all business in English, though most members were Spanish-speaking immigrants. So María Elena did what she always does when she sees injustice buttressed by power: She got angry. She organized. And she prevailed. Under her leadership, Local 11 became a model for a new labor movement. It was diverse: Its meetings were conducted in Spanish, with simultaneous translations into English. It was militant: Its workers paraded down boulevards filled with upscale hotels that paid low wages to non-union workers, while allies shattered the decorum of the hotels’ dining rooms by informing guests of how little their servers made. It was political: Local 11’s members, though many of them not citizens, walked precincts in Spanish-speaking neighborhoods to support pro-worker candidates and causes. It was visionary: The local incubated the Los Angeles Alliance for a New Economy, which María Elena co-founded, that pioneered the model living-wage, community benefit and local hiring agreements. And it was effective: Together with SEIU’s janitorial local, Local 11 mobilized L.A.’s immigrant population and transformed the region’s social and political climate. María Elena became head of the L.A. County Federation of Labor in 2006, a position she held until 2014, where she combined the roles of moral tribune and political champion of the proletariat. Los Angeles will soon boost its minimum wage to $15.00 an hour by 2020, a victory for which María Elena is chiefly responsible. This daughter of immigrant farmworkers serves as a great strategist and organizer for immigrant legalization – and recently directed massive demonstrations and developed the AFL-CIO’s campaigns on behalf of immigrant workers. Today, she’s taken on a new role guiding initiatives for immigrant and civil rights for UNITE HERE. When she stepped down from the County Fed, the media described her as one of L.A.’s most politically powerful people. That power was rooted in the workers’ organizations she helped build, and in the respect and affection in which those workers held her. I can’t imagine a more positive source of power and leadership than María Elena Durazo. Meyerson is editor-at-large at The American Prospect and a columnist for The Washington Post. Jack Marco, Chairman, The Marco Consulting Group, for providing a consistent, trusted voice within the investment community on the critical issues facing working families. It is rare to find an investment professional who has devoted his career to holding companies accountable to their employees’ financial interests. As a long-time financial management consultant, Jack Marco has always been on the side of working people, helping ensure their pensions, benefits and investments grow and are protected so they can retire with dignity and security. After beginning his career as a high school math teacher, Jack spent many years in public service, first as a Congressional staffer and later as director of the Illinois Environmental Protection Agency. He also served as a director to the Federal Home Loan Bank of Chicago and was appointed a trustee of the Illinois State Board of Investment. Through his firm, Jack translates his financial knowledge into strategic counsel both for unions and their members, making sure that workers’ wages are invested and managed carefully. Jack contributes much of his time and resources to the civic and political causes he believes in – and he inspires others to do the same. He has served as a member of the Trustee Leadership Forum for Retirement Security at the Hauser Center at the Harvard Kennedy School and a trustee of the National Labor College. He is one of the founders and current treasurer of the Mikva Challenge Foundation, which has revolutionized how civics is taught in Chicago schools. More than 6,000 young people learn democracy through active, transformative civic participation annually. Jack’s fundamental belief in the value of unions led him to serve on the board of Jobs With Justice. His leadership and expertise have proved invaluable to the long-term sustainability of our organization. We are proud to honor Jack Marco as one of the strongest champions for the financial futures of working people everywhere. Bonior served as Democratic whip in the House of Representatives from 1991 to 2002. The author of East Side Kid, Bonior serves on the Board of Directors of Jobs With Justice. Worker-Leaders of the San Francisco Retail Workers Bill of Rights Campaign, for sparking national attention to the problem of unpredictable schedules and helping win landmark rules to secure better hours and better lives for 40,000 men and women. 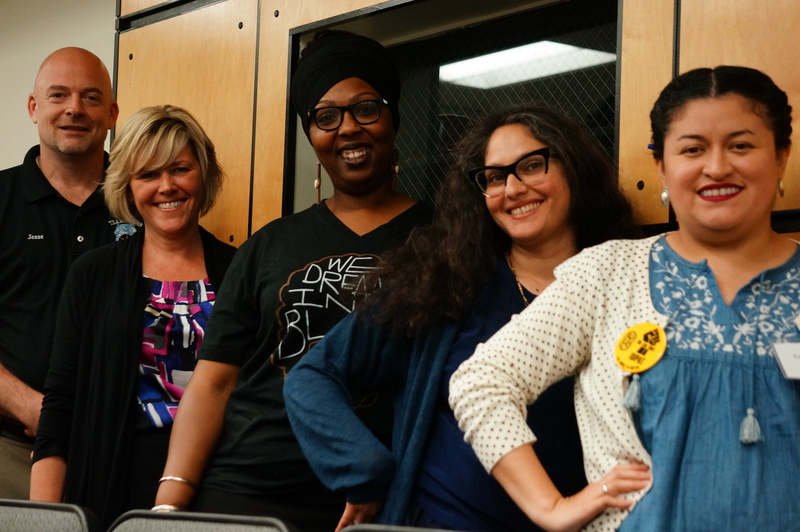 Last year, as Jobs With Justice San Francisco began developing campaign and policy platforms, they turned to the people who make the city run every day – the workers who stock the city’s shelves and help parents pick out back-to-school clothes. These men and women shared that, in addition to campaigning to boost the city’s minimum wage, they also wanted to solve the daily challenges they faced in jobs with unstable, unpredictable hours. The bank tellers, grocery baggers, restaurant servers, department store associates, janitors and others explained they weren’t just living paycheck to paycheck, but rather hour to hour – unable to get the schedules they needed to support their families. Inflexible and erratic hours led to turbulence at home. The daily realities of life – commuting, meals, church and soccer practice – were either out of reach or constantly in flux, because their employers granted too few hours on too short notice and required them to be on call. As a result, Jobs With Justice San Francisco launched the Retail Workers Bill of Rights campaign to help employees organize for fair and consistent schedules. A worker organizing committee led the effort, engaging the Bay Area’s large population of retail employees. The workers were a critical force in a campaign that involved grassroots organizing, lobbying, media outreach and building broad community support. They testified publicly, met with policymakers, spoke at rallies, talked to the media and engaged their co-workers and neighbors. The workers humanized a previously misunderstood problem and catalyzed a nationwide movement for full-time employment and decent schedules. 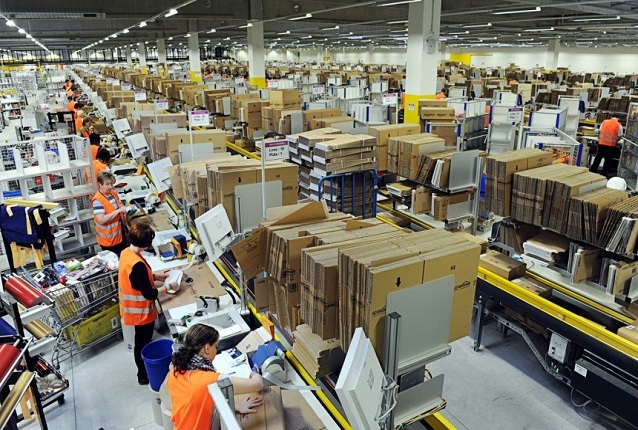 The issue of scheduling reform made its way to the federal government too. Last summer, I co-introduced the Schedules That Work Act in the House of Representatives. This kind of national attention to workplace schedules would not have been possible without workers organizing to bring the issue front and center. 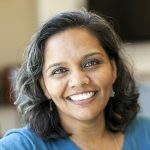 By sharing their everyday experiences – of not being able to attend college, arrange for child care or take an ailing parent to the doctor because they never knew their schedules in advance – workers created the political will to pass first-of-its-kind legislation that provides more reliable and sufficient schedules for more than 40,000 people. I am honored to salute the worker-leaders of San Francisco’s Retail Workers Bill of Rights movement for leading in collective action, boldly speaking out on behalf of all workers and fighting for better jobs and better lives. Miller served in the US House of Representatives from 1975 until his retirement in 2015. 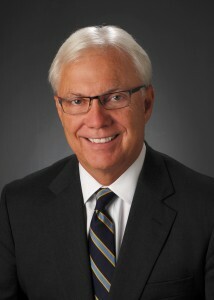 He served as Chairman or Ranking Member of the House Health Education and Workforce Committee from 2001 to 2015.